The Stewarts range of flanged manifolds have been developed to reduce installation time and set up costs, reduce the space and number of components required for a multi valve configuration, and to ultimately lower the number of potential leak paths in the system. Machined from a single piece of ‘grain flow controlled’ forging, the resulting final assembled part incorporates the valve heads and outlet connections. The manifolds with integral flange are designed as such to be installed directly onto your process equipment or into you piping system where ASME/ANSI integral flanges are present or are included as standard fittings. The manifolds are suitable for and can be configured depending on your system requirements, uses may include; direct attachment of instrumentation, reduction and sampling junctions or use as branching components. Flanged manifolds can be configured with various valve types, and number of valves to suit the application. Configurations include Single and Double Block Bleed, Ball/Needle/Ball, Needle/Rising Plug, Vent valves or Bleed plugs and also Auxiliary equipment pipe connections. A block/bleed configuration may be used for example where it is necessary to stop fluid/gas flow downstream from the manifold, this part of the system is then bled in order to carry out maintenance, repair or replacement. The Stewarts flanged manifold can also be supplied with dual flanges having a standard length as per ASME B16.5m, this is equal to the face to face dimension of conventional single ball valves; this design lends itself to ease of installation without the need to rework piping of older systems when replacing and/or retrofitting. Monoflanges can be configured as either single block and bleed, or double block and bleed; with a plugged vent port for the bleed. 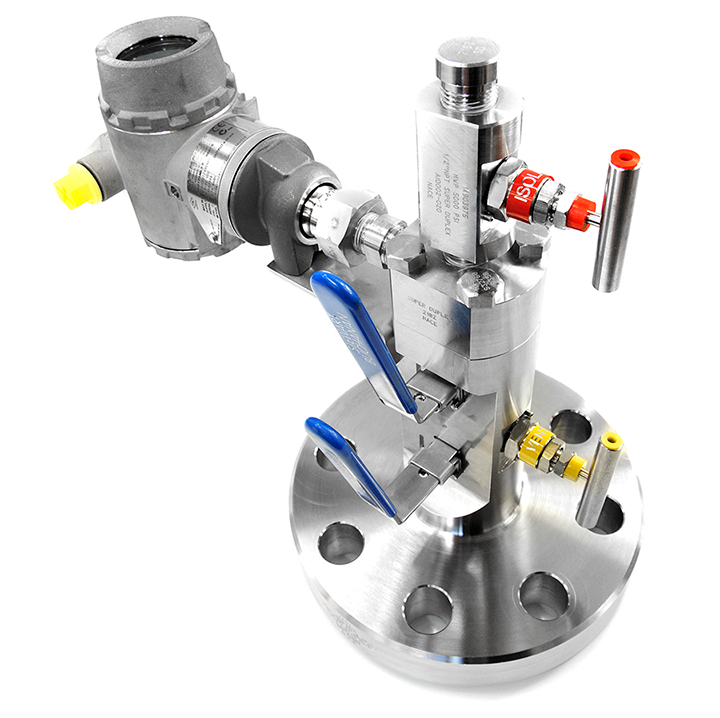 The double block and bleed is also available with the Stewarts OS&Y needle valve in the primary isolation position. Flanged manifolds, used in installations in accordance with ASME/ANSI standards, feature all metal sealing in the valve seat where needle valves are present with metal to metal seal at the bonnet to body interface. Various materials are available for the seats/seals in both the ball and rising plug valves, to suit the fluid/gas temperature and composition. 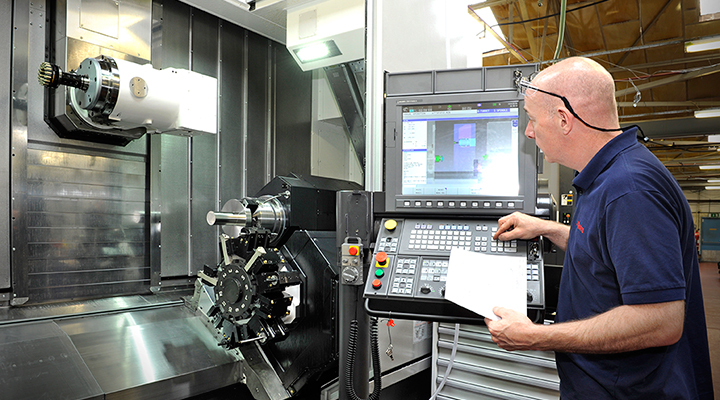 We manufacture in a full range of materials, flange types and ratings as well as offering a choice of outlet type and size. 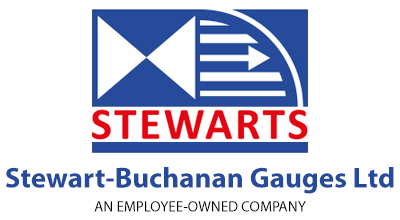 Further options are available when purchasing with Stewarts pressure gauges. On request, valves can be fire safe. Constructed compliant with BS 6755 Pt 2. / ISO 10497 (Max 6000 psi) API 6FA, API 607.